I just spent a fantastic afternoon with friends at the ‘Travel In Style Expo’ hosted by Trumpeting Media. Not only did I get to have lunch with Nicole, Monica, Elina, Victoria and Dina (not pictured) but I also learned about several must own travel items for children. You know that age when children are too independent for a stroller but too young to walk on their own? We’ve all been there. 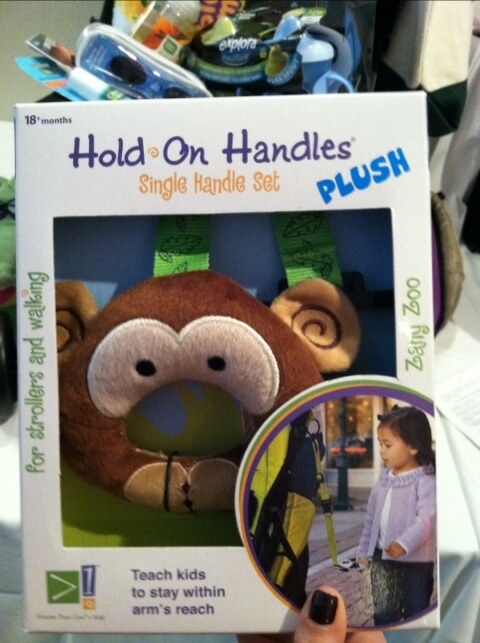 Hold On Handles is pretty much the solution! 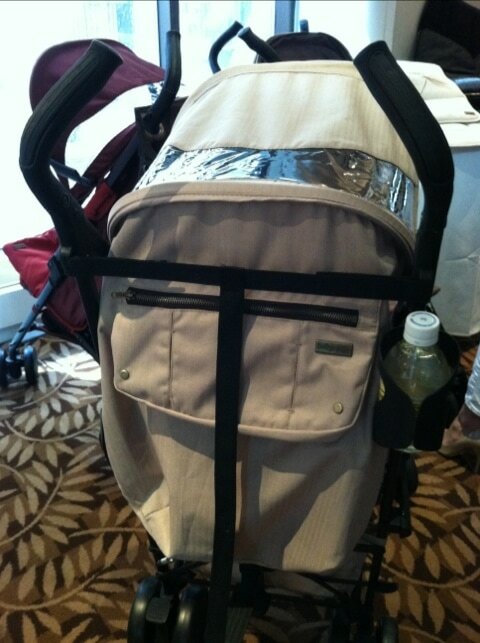 You attach the product to your stroller and your children learn to walk within arm’s length of the group. They won’t run ahead because they’re having so much fun playing with Mr. Monkey. 🙂 Comes in a variety of animal types. 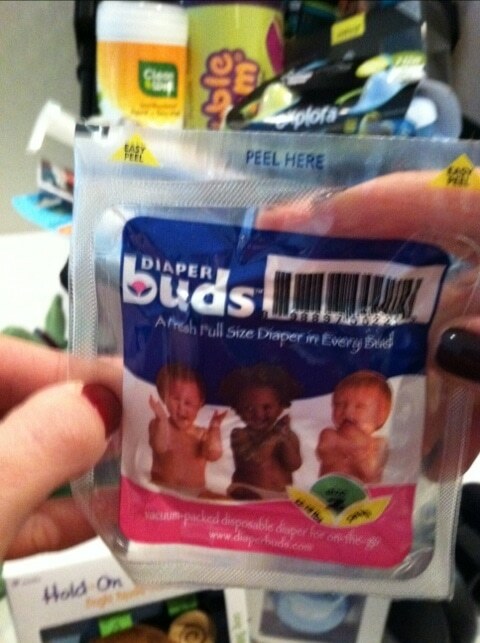 I’m going to blow your mind… Diaper Buds are vacuumed sealed diapers. Throw one of these in your purse and rest easy knowing you are ALWAYS prepared for an accident. They even fit in a clutch. Don’t feel like carrying a purse today? No problem – the Diaper Buds will fit in your back pocket as well. This sample has already been ripped open and fought over. I’ve been in my house for all but 5 minutes. 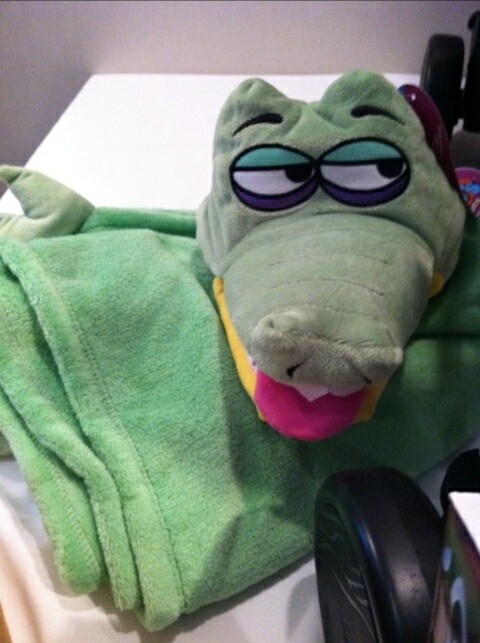 CuddleUppets is a combination between a blanket to cuddle with and a puppet to play with. My daughter screamed, “I’VE ALWAYS WANTED THIS – HOW DID YOU KNOW?” I’m not kidding. RIGHT NOW, my little ones are eating their after school snacks on the floor while wrapped in the Bear version. Have a long flight ahead of you? The CuddleUppets will provide both entertainment and warmth. I have to give you a little background story on this issue before I dive into the solution. A few years ago, my husband and I took our kids to Florida. We rented a car and car seats while at the airport figuring it would be easier than lugging them around during our travels. When the car pulled up we were so excited… until we opened the door and LOOKED at the car seats. Disgusting! And I mean …. DISGUSTING!!!!! The seats were so filthy that we seriously debated canceling the whole order and finding another car rental service. This is the solution!!!! 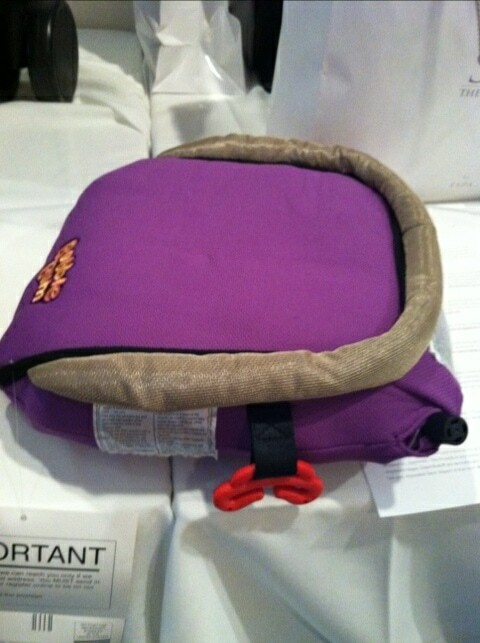 Bubble Bum is a safety approved car booster and it’s portable. It basically inflates into a car seat. Yes, you read that correctly. If I knew about this product, I would have opted for Bubble Bum 100%. Suitable for children between 4 and 11. 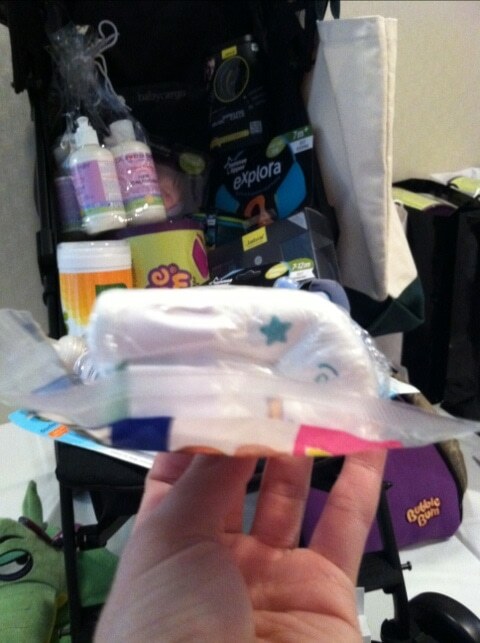 When you are finished using it, the product deflates for easy packing. HELLO! While Citrus Lane isn’t absolutely linked to kid travel, I still want to talk about the service. It’s actually a great way for you to test out new and innovative products that relate to your children’s needs. You can opt to purchase one box at a time or dive right into a subscription. 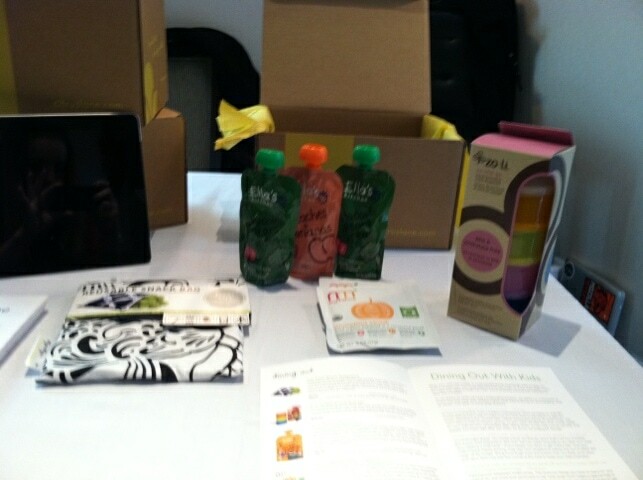 Each month, you will receive a handful of amazing products to enjoy and hopefully keep as part of your life’s routine. As you can see, there were a few great options this month – freeze dried, natural baby food (just add water), reusable snack bags, Ella’s Kitchen, and more… $25 a month. 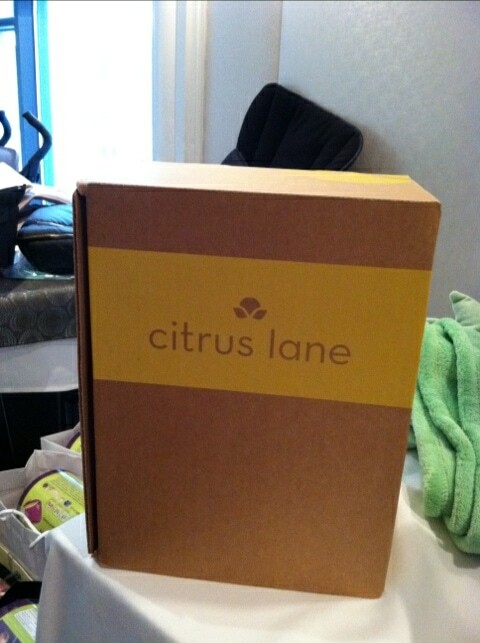 To find out more about Citrus Lane, click here. 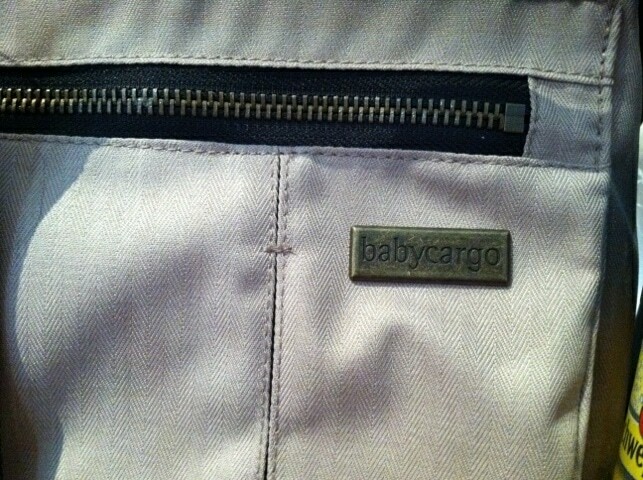 Last but not least, we have Baby Cargo. 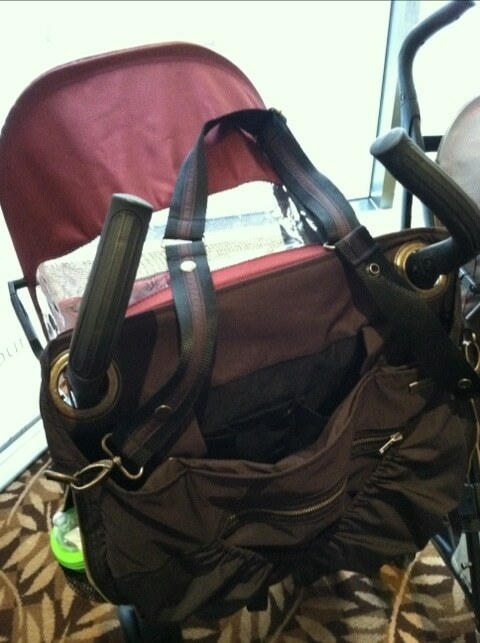 They were showcasing three of their newest strollers that I thought were just PERFECT for kid travel. As a parent, you don’t really feel like lugging around your heavy stroller that reclines while flying… BUT you need to because your children always fall asleep at theme parks, right? 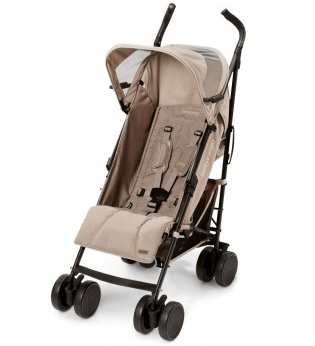 Well – the Baby Cargo is light and compact, has a handful of compartments for storage, a padded seat and… the ability to RECLINE. Perfection! While I was learning about the line, I kept thinking about how AWESOME this stroller would be at Disney World. I own a MASSIVE double stroller and this is a much better alternative. 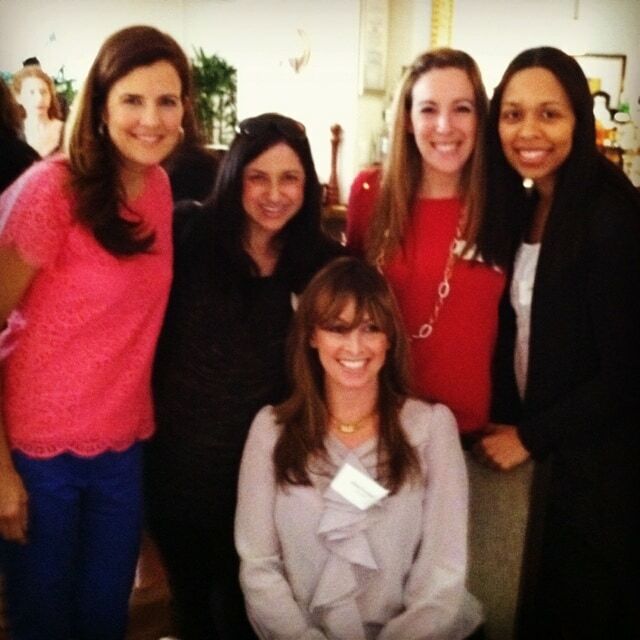 So glad I attended the ‘Travel with Style’ conference! 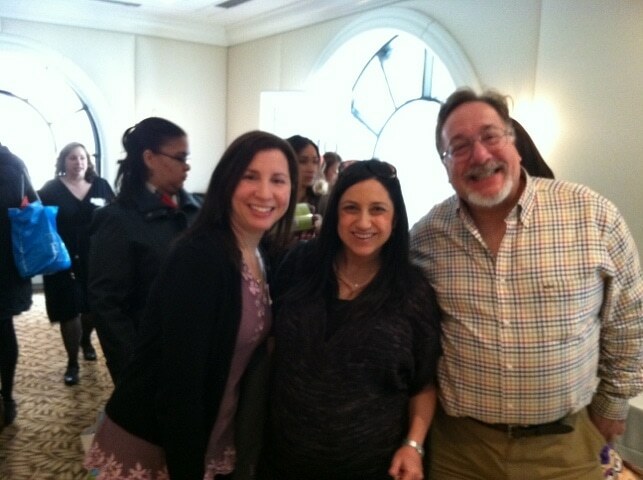 I got to learn about some great products and hug some amazing people. We have a Bubble Bum and I LOVE that thing! So handy and portable! great products, *almost* makes me unafriad of travel with kids! 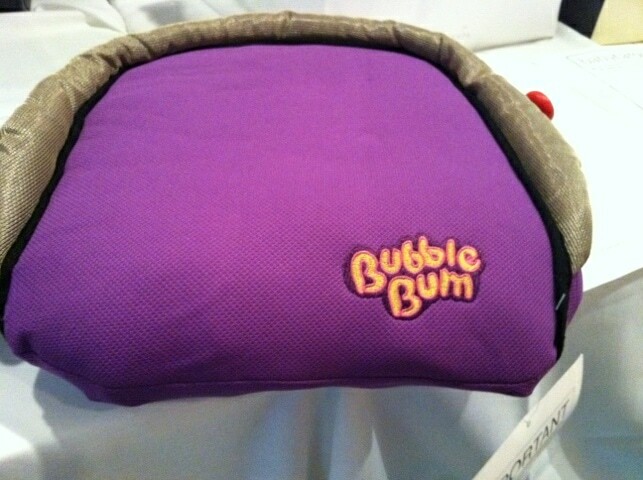 The Bubble Bum is genius! Comment is acting as entry for Eucerin contest.